These assorted colours of fineliner are water based ink with 0.5mm writing line for precise and clean line strokes. They are ideal for writing drawing and fine detail work. 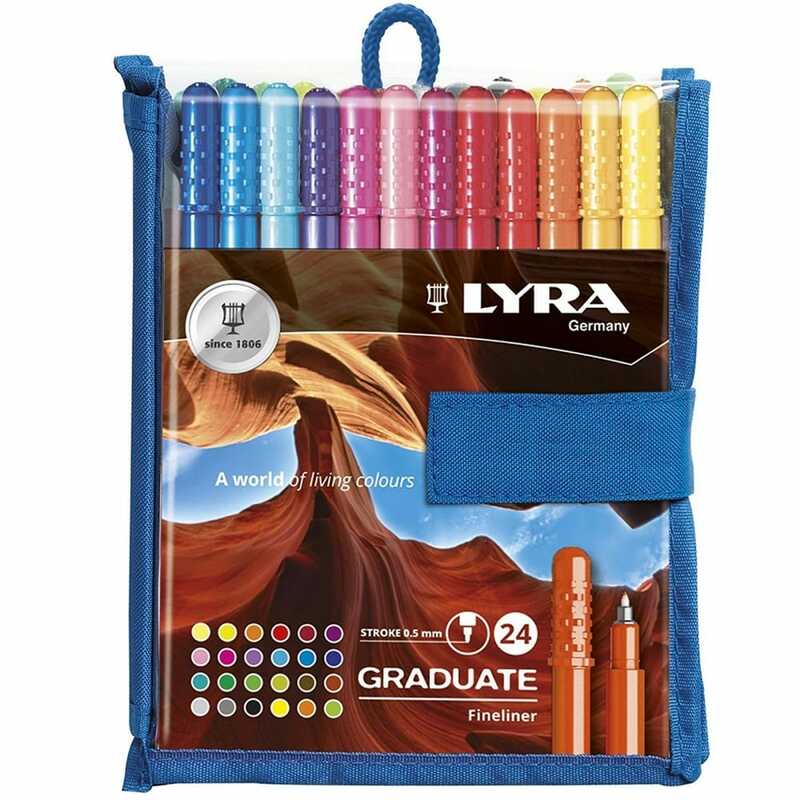 The handy sized pack will fit in your art bag with a small pad so you can use them while out and about. Pack contains colours red, dark blue, black, green, blue, brown, purple, orange, dark pink, light green, pale pink, yellow, fluorescent yellow, fluorescent orange, fluorescent green, silver, grey, dark red, jade green, lime green, dark green, pale yellow, copper brown and pale blue.